My husband's youngest sister is starting 1st grade next Wednesday. We just met her new teacher and classmates during a lovely potluck picnic this week. Our first "homework" is to prepare a menu for her lunch box. She's very excited about what we will pack for her. Our family friend Chú Quân had kindly just brought us humongous fist-sized figs from his garden. I immediately thought of a snack my little sis-in-law wouldn't be able to resist. This fig and cheese sandwich recipe is ultra simple. 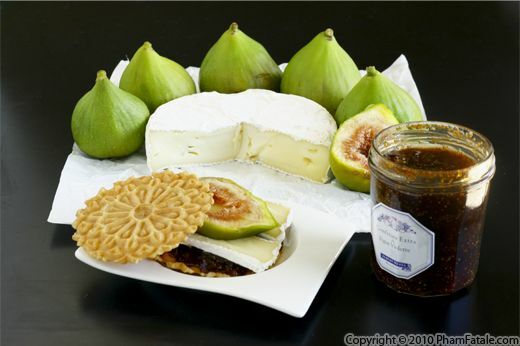 I pack separate containers of the ingredients (fresh figs, fig jam, camembert and pizelle anise cookies) and let her assemble the snack! I'll be posting more B2S recipes next week as my little munchkin starts school, so stay tuned! Remove the cheesefrom the refrigerator 30 minutes ahead of time to bring it back to room temperature. Cut the cheese into 40 small slices. 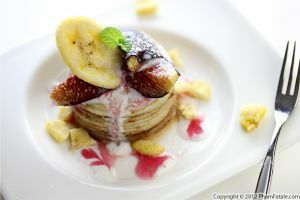 Cut the figs lengthwise into thick slices. Set aside. On a serving platter, place the pizelle cookies. 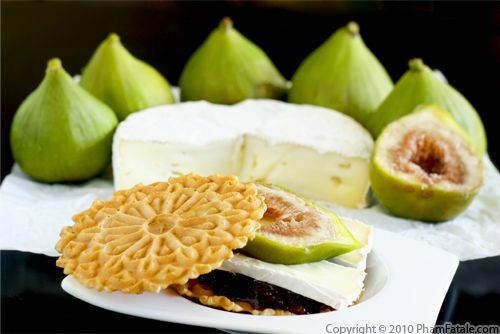 Layer one cookie with a generous amount of fig jam, 2 pieces of camembert, 1 piece of fig and top with another cookie. 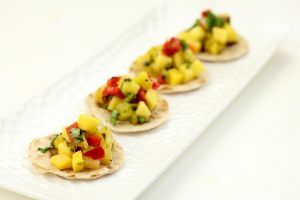 Quick and easy recipe ! 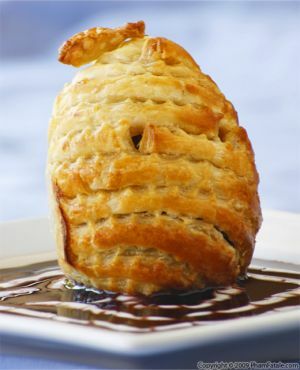 If you don't have fig jam, you could drizzle honey instead. You could pair camembert cheese with any other fruits such as peaches, apricots or berries, with the exception of citrus. 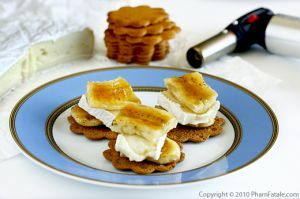 You could also use bread in place of the crisp pizelle cookies. But I would add coarsely chopped walnuts for crunch. You could use another cheese such as goat cheese. How to store cheese: It's best to store cheese at the bottom of the refrigerator. The ideal temperature to store cheese is at 50°F. Don't remove the white crust; this natural protective layer helps keep the flavor of the cheese. Once the cheese has been sliced, wrap in plastic wrap or waxed paper. 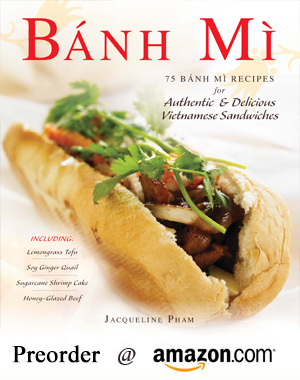 Published By: Jacqueline Pham on August 13, 2010.